Bitcoin runs as a form of currency that stands independent of traditional banks. It's a newer form of digital currency, and it uses encryption for security and maintaining production of Bitcoin units. At first this might sound confusing, but it's rather similar to other forms of money. 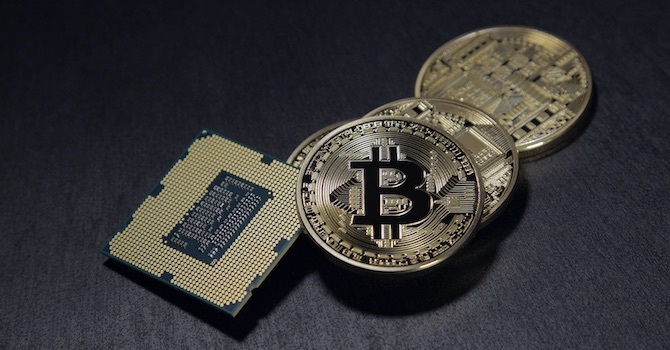 The primary differences include the fact that the Bitcoin cryptocurrency is decentralized, leading to all sorts of benefits for both merchants and buyers. That makes Bitcoin an interesting niche to look into. For example, since Bitcoin has no affiliation with a bank, the rates remain low, if not non-existent, and pretty much anyone can perform transactions regardless of where they're located (a regular bank might not be willing to allow a purchase from a high-risk or depressed nation or region). Along with impressive security, the hiding of personal information and locked-down purchases that almost eliminate online fraud (e.g. all sales are final, so no chargebacks) the Bitcoin revolution, although confusing, is just getting started. So if you're interested in learning how to earn Bitcoins with blogging on your WordPress website, this is the guide for you. The prudent blogger chooses a niche topic, honing in on the industries that have both interested readers and hoards of advertisers or affiliates. Bitcoin or cryptocurrencies in general is an interesting niche for bloggers, although it does seem to be gaining lots of competition. Going with an ad network like Google AdSense works fine to monetize blogs, but if you're trying to build your Bitcoin reserves instead, other suitable ad networks are necessary. For instance the Bitmedia advertising network provides a snippet of code for placing on your WordPress blog. When someone clicks through one of those ads you get some Bitcoins. In fact, the majority of the ad networks discussed here work in the same manner, allowing for you to quickly insert some code in a page, post, or widget and watch as relevant ads are served up to the users. Other networks like CoinURL have market pricing, where you can set your budget and go through an auction process to get the best pricing. You can also choose between simple, non-intrusive banner ads or the rather cheap interstitial ads. The A-Ads.com network has a rapid signup process for people who would like to start making money on their blogs within seconds. 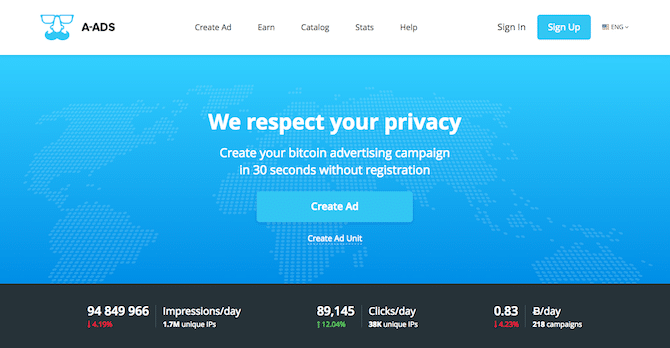 Not only can you almost instantly get Bitcoin-making ads on your site, but the initial signup doesn't require you to punch in any of your personal information, similar to Bitcoin itself. 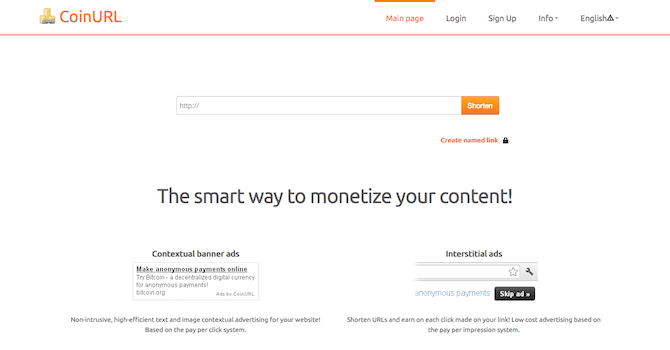 This ad network is especially suitable if you care about anonymity while placing ads. A-Ads.com also has incredibly lightweight ads that aren't going to clutter or weigh down your website. This will come in handy when you start placing more ads on your site and you don't want to bother your visitors. Finally, the Bitcoins you earn from the advertisements are automatically withdrawn on a schedule for you to access whenever you want. The last ad network we'd like to cover in this article is called Bee Ads, and it has some of the more powerful statistics for managing your click throughs, understanding where your traffic is coming from, and ensuring that no fraud is happening on your site. Paywalls have been utilized all over the internet. They are rather popular in the online newspaper industry, where media companies give away a certain number of free articles before the customer has to start paying. For example, a reader might stop by your site, read ten articles then see a paywall, or blocking module, that restricts the person from reading any more articles. You might also consider only putting up the paywall for premium content. Blogs utilize this method when they want to give away all of their blog posts for free. However, they might also require a membership or some sort of payment for premium videos, forums, or eBooks. 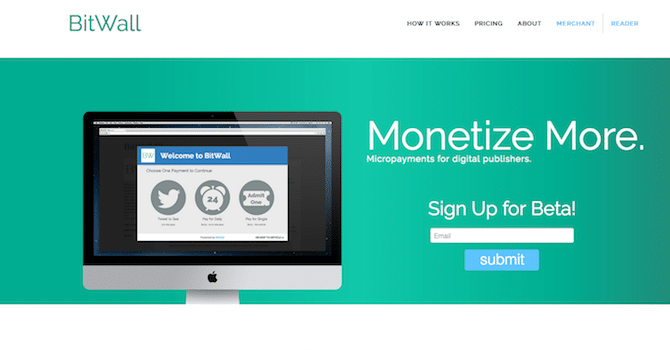 Regardless of your approach, a Bitcoin paywall tool is required for implementing this system on your WordPress site. Bitwall provides the proper features you'll need for your Bitcoin paywall. Bitwall is giving you options for receiving micropayments from your users, especially if you'd like to configure memberships or certain payment plans for premium content on your WordPress website. Bitcoin is obviously one of these payment options for users. However, some other interesting payment options include Tweets and regular currencies. For example, you might ask people to tweet about your blog before they proceed to your content. 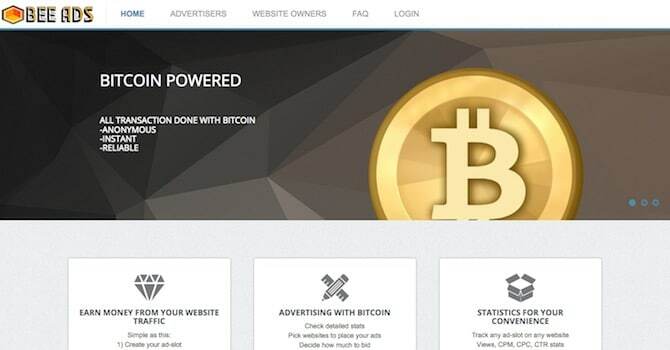 You also have the opportunity to post ads on your site through Bitwall, offering all sorts of solutions for earning Bitcoins through your site. 21.co has been working on a wide range of solutions for Bitcoin, one of which allows bloggers to answer questions and make Bitcoins through that process. No, it's not technically blogging, but it does allow you to practice your writing and make Bitcoins for your efforts. Bitcoin affiliate programs are popping up left and right, and it all has to do with the rapidly expanding Bitcoin community. As I stated before in this article, you could go with the Bitcoin blogging niche. In this case you'll literally be promoting Bitcoin. However, you'll also be able to find several affiliate companies from other industries that pay out in Bitcoins. 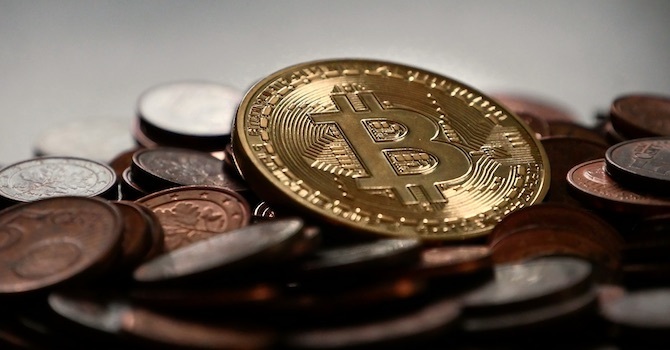 Bitcoin Faucet – This plugin installs relevant advertisements on your blog, rewarding you with fractions of Bitcoins as users click through to see what the ads are all about. Keep in mind that you will have to get a Bitcoin wallet to store your digital money (in fact most of the tools on this page require a wallet to send and receive Bitcoins). Easy Bitcoin Donation Widget – If you're more interested in asking for donations, this plugin presents a module for users to stop by and send over some Bitcoins. Block Ads to Bitcoin – Here's an interesting one. 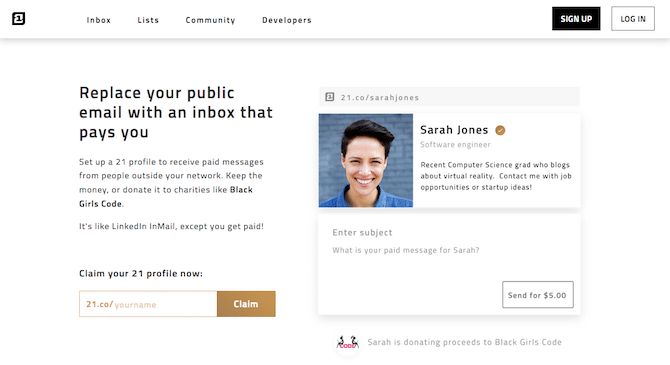 Since so many people use ad blockers these days, the plugin circumvents that technology to present a Bitcoin donation module. This way, the ad blockers can't affect them. Conclusion: Ready to start earning Bitcoins with blogging? As you move along on your blogging journey, keep thinking about the different types of niches you can focus on. Test out the ones that work and scrap the ones that don't. Bitcoin opens up several opportunities in the blogging world, and you have all the tools needed to track the Bitcoins you earn and keep them safe. If you have any further questions or thoughts on earning Bitcoins through WordPress blogging, leave us a comment below. 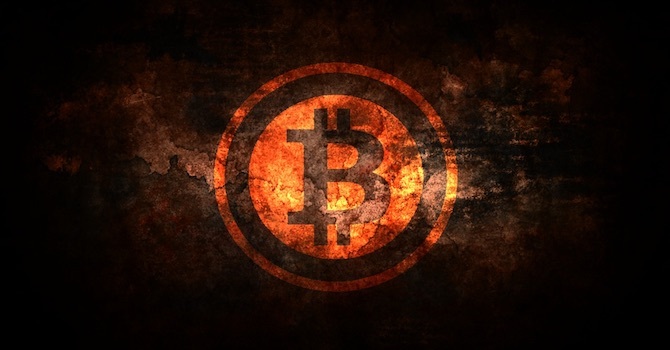 Look at your Bitcoin faucet rotator and get free Satoshis per day. Claims range between every min – every 24 hours. We welcome new faucet submissions on our rotator and list. If you want to buy Bitcoin with PayPal or credit card or if you want to sell Bitcoin and get 15% profit on everything you sell, then visit xCoins. They also have the absolute best affiliate program and the best way to get Bitcoin. 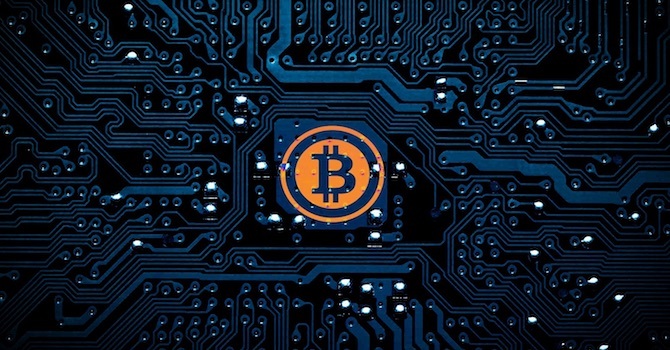 Bitcoin Community Forum is a message board where people interested in the technical details and the development of Bitcoin software can talk to each other. The forum also has place for people who are interested in Bitcoin mining, and trading with Bitcoin in the economics of Bitcoin. BitFun is a free site where you automatically earn bitcoin. The site offers free withdrawals and 50% lifetime commissions. After you sign up just click and enter a captcha to claim Bitcoin whenever you want. The Bitcoin automatically will be added to your account every few seconds forever. If you’d like to boost your earnings other than just using the faucet, there are also offers you can complete on the site. The best platform to earn daily profit is Bitconnect. They are paying since 1 year. Kucoin is a brand new cryptocurrency from Hong Kong. It is highly expected to do really well over the next few weeks. This is one ICO coin to invest in, especially at $0.40! There are quite a few ways to earn Bitcoins online, and they are all different. Some of them, such as gambling, or trading, involve risks. Hey, Thanks for this useful information and list of some great sites for earning bitcoins. I have already signed up for earn.com and got my account activated. Thanks a lot. Liviacoins.com have been great! I switched over from Coinbase and couldn’t be happier! Is Eobot reliable? How to make money with bitcoin in a simple and objective way? Bitcoin is, without doubt, the currency of the future. Thanks for writing this great article! It’s very informative, and you included some great points related to earning bitcoin and technology. Great to read! You’ve probably seen a lot about Bitcoin lately, including speculation that it may drop in the future. There are thousands of new crypto-millionaires. But will people continue to get rich investing in cryptocurrency? And how can you profit in the months and years to come? Are you thinking about investing in Bitcoin? There is a paradigm shift coming that is going to make Bitcoin look like old news. Something so new and transformative that it may revolutionize the global economy. Yes, Bitcoin is STILL an incredible opportunity. But it’s just the beginning. New coins could deliver even bigger gains and profit. Hi Brenda, nice to see this article and great tips for bloggers to earn Bitcoins. The Bitcoin and cryptocurrency community has grown tremendously over the last few years. Great post! I just want to give my opinion about this! You guys need mentoring especially beginners. If you really want to make a full time income with crypto then someone who has knowledge about it will help. A friend of mine recommended me the cryptocurrency codex. Which is a course that will give you secret methods on how to invest into crypto. I made $23,000 within 3 months with a $300 investment. Guys it’s insane. Take the opportunity. Hi Lennard, while the crypto markets are highly volatile and it’s certainly possible to make a significant return within a few months, it can also go the other way around. I think instead of pointing people to “secret methods of making money” (which 99.9% of the time is scam), it rather would be important to educate people on the risks of cryptocurrency investments. Nobody should invest in crypto without understanding the concepts behind it. Earning Bitcoins on my website would be nice. However, me personally I’m using Google AdSense on my website. I would be willing to accept any paid reviews etc. but I prefer to remain neutral not directly endorsing anyone just for money. I actually review the use-case of technology and highlight how it would be helpful on certain customers (i.e. remittance). No doubt, Google AdSense is the popular ad program for hobby and professional bloggers. But I would like to say, take advantage of affiliate marketing to earn passive income from your blog. None the less, focus on driving targeted traffic to your blog to increase your earning. Sponsored posts can also be a great resource for you to earn money from your blog. I’ve tried some of the other business ideas like theme design, with not so great results. However, WordPress consulting, SEO services and affiliate marketing have worked for me. Thanks to you for sharing the ways to earn via WordPress in an easy way.